#ArmyHiveProject is in full effect. 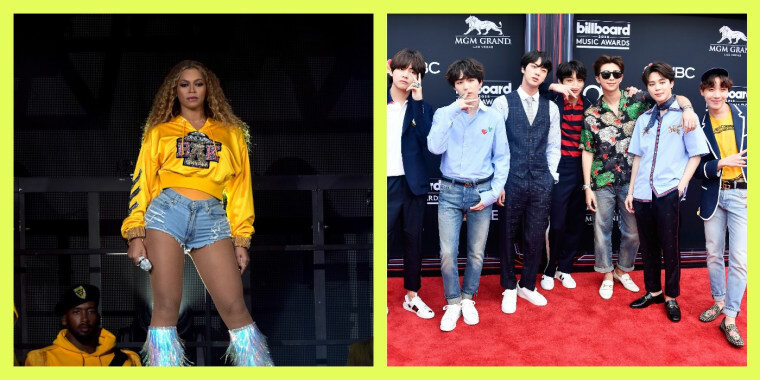 Two monstrous music fan groups have converged together on Twitter: Beyoncé's #BeyHive, and BTS's #BTSArmy. Together, the pair form the #ArmyHiveProject, and have spent the last 24 hours participating in a streaming party, which is a fan-coordinated streaming binge designed to drum up sales numbers. 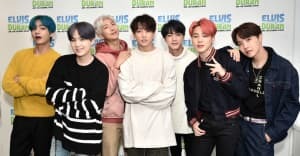 The major focus of the streaming party is BTS's "Fake Love" as well as their 2018 album Love Yourself: Tear; and Beyoncé's "Apesh*t" as well as the newly released OTR album EVERYTHING IS LOVE. The party invitation tweet even includes times corresponding with different major timezones, and links to the songs from all streaming platforms. The response from stans on both sides has been nothing short of wonderful. Hive and Army fans have seamlessly come together in support of one another, and have used memes from both of their arsenals to show good faith.